“What’s the best way for me to get to Luang Prabang?” I asked a Sinh Café travel agent in Hanoi. “How long is the bus ride?” I asked. Hmmm… A few more questions revealed an alternative. 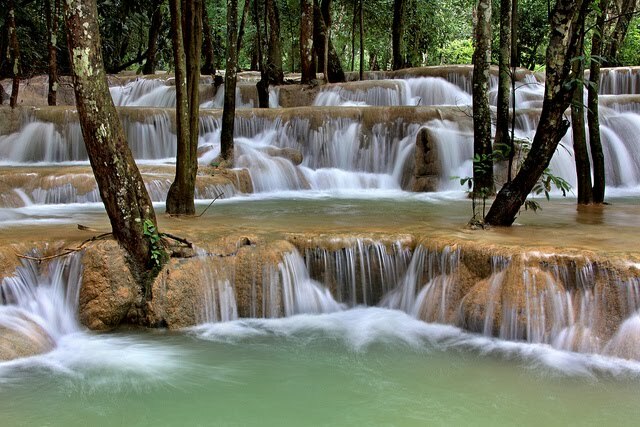 I could follow the travel agent’s recommendation and enjoy a “very nice” 30-hour bus ride to Luang Prabang, or for $70 more I could catch a plane flight that takes about 12 seconds. 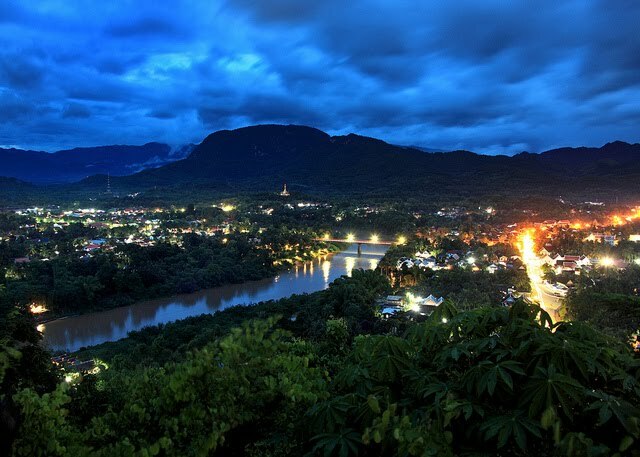 I shared a cab with two German girls for the short ride from the airport to the old quarter of Luang Prabang and quickly found a nice hotel room with my own balcony overlooking the street. 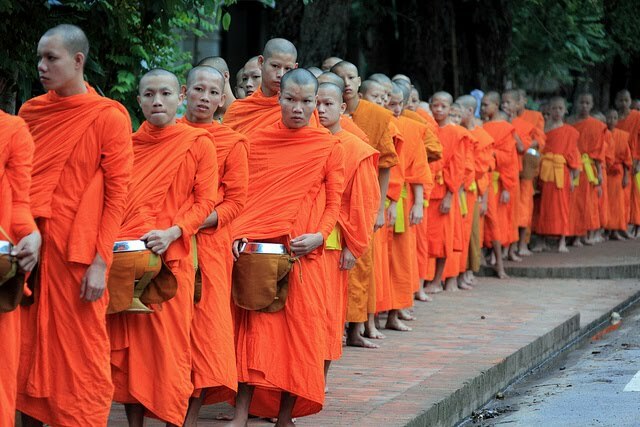 At first I couldn’t put my finger on it, but something felt very strange about Luang Prabang. Finally it hit me: no honking. I’d been walking the streets for an hour and had yet to hear a single horn. What a contrast to Hanoi and Saigon, were at any given moment 100 horns penetrate your skull simultaneously. 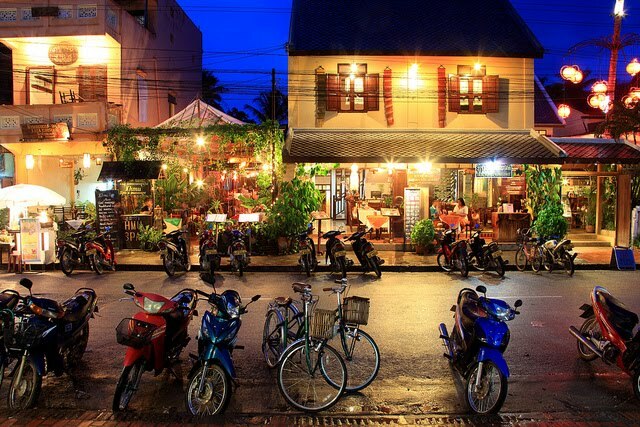 In fact the streets of Luang Prabang were practically free of moving vehicles – the complete opposite of Hanoi’s perpetual river of antagonistic motorbikes and cars. I began to feel… relaxed. I’d been told Laos would do that, but I never imagined it would kick in so quickly. That afternoon I wandered around the old quarter, basically a peninsula bounded by two rivers – the Mekong and the Nam Khan. Locals swinging in hammocks during the heat of the afternoon, flashes of bright orange robes as Buddhist monks walked by, rows of pale yellow houses in the French colonial style. Towards sunset I climbed up to the That Chomsi temple for 360-degree views of the town as it slipped into darkness. 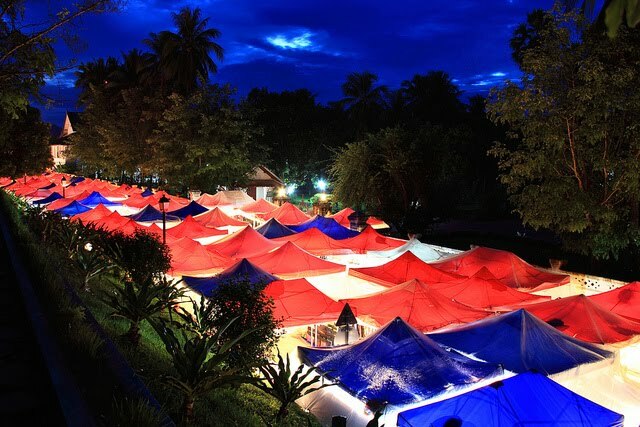 At sunset a large stretch of Sisavangvong street is blocked off for the Hmong Night Market, with row after row of red and blue tents covering a range of locally-produced goods intended to appeal to tourists. 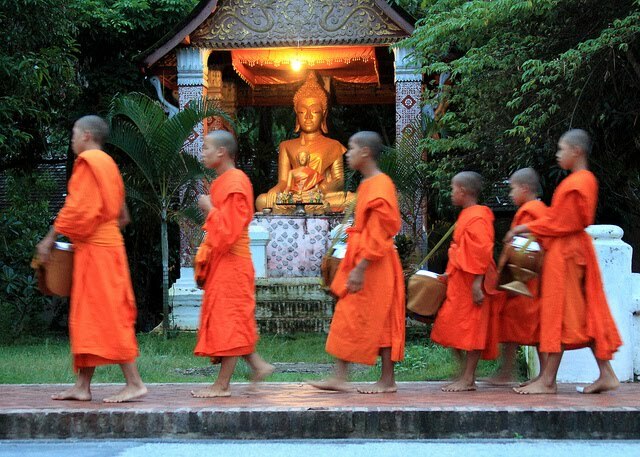 Luang Prabang is filled with Buddhist temples and every morning around 6am the monks file out into the street to collect their daily alms. 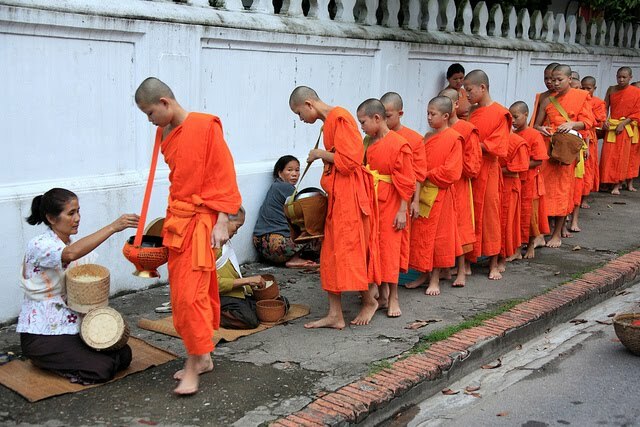 Locals and tourists line up with baskets of food and drop a little bit into the collecting bowl of each passing monk. 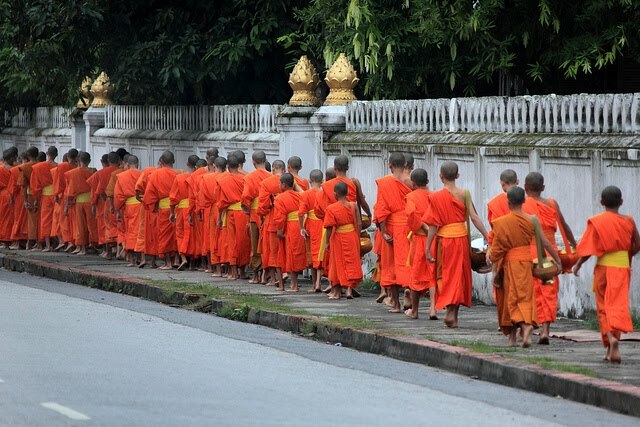 The possibility of a colorful sunrise over the Nam Khan would have been enough to get me out of bed before dawn on my first morning in Laos, so there was no way I’d miss hundreds of monks filling the street. The day before I’d stopped by a travel company to look at the different day tours. 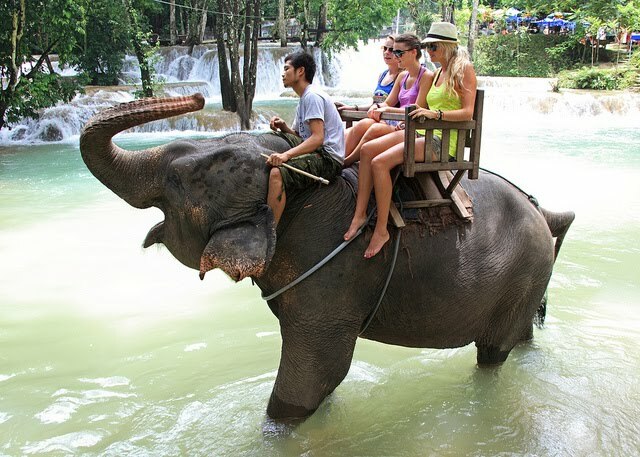 “You want ride elephant in waterfall?” they asked. 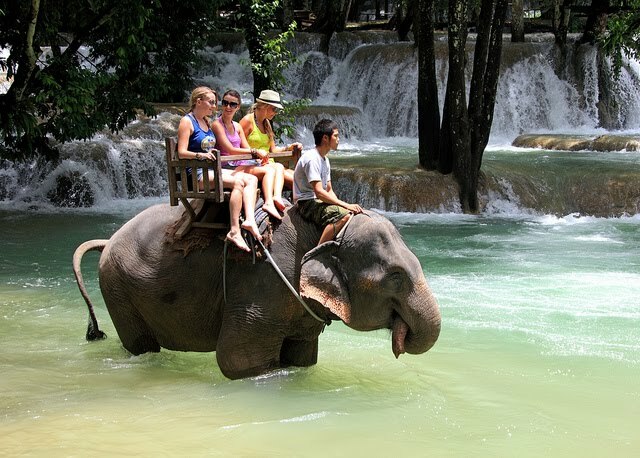 If it had been a movie, we would have immediately cut to a scene of me on the back of an elephant, sitting next to a talkative Polish guy named Bolestaw, wading out into the Tad Sae waterfall just north of Luang Prabang. After my turn on the elephant I photographed the next group. 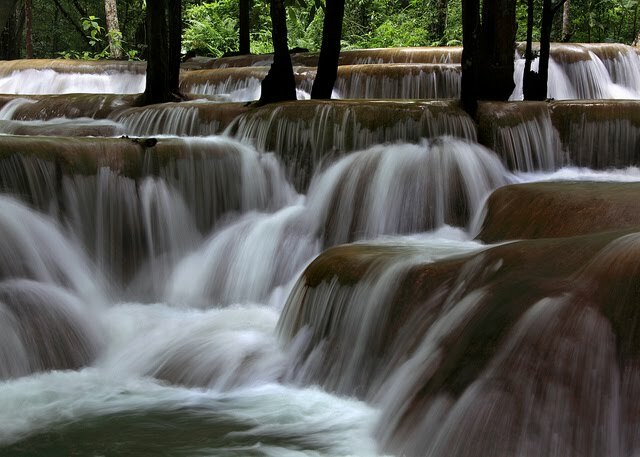 The Tad Sae waterfall itself was beautiful – several different levels of cascading tiers falling into pools of green water. Apparently the water level is very seasonal, at its best during the rainy season (which lasts another month or so) but so low it’s not worth visiting in the dry season. All areas of Tad Sae were open for swimming and the water was surprisingly cold, a perfect break from the heat and humidity. I spent so much time taking photos that I almost missed my chance to swim. Back in Luang Prabang that afternoon I ran into Lindsey, one of the three law students I met in Halong Bay. Liz had flown home already but Lindsey and Ashley had a few more days to travel. 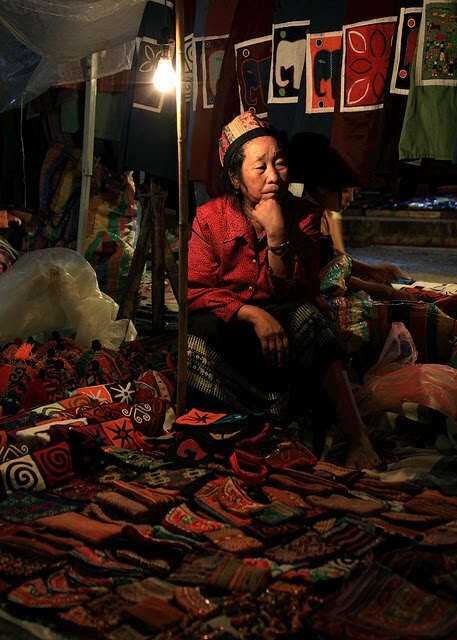 They were leaving on a bus to Chang Mai that night, so we just caught up briefly while walking around the Hmong Night Market. At sunset I climbed back up to the That Chomsi temple and ended up talking with a group of monks who seemed interested in my camera. 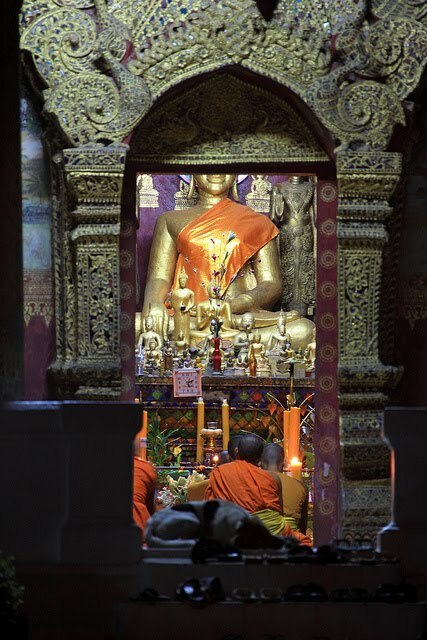 The next day I woke up at dawn again to watch the monks collect morning alms before I left for Huay Xai. 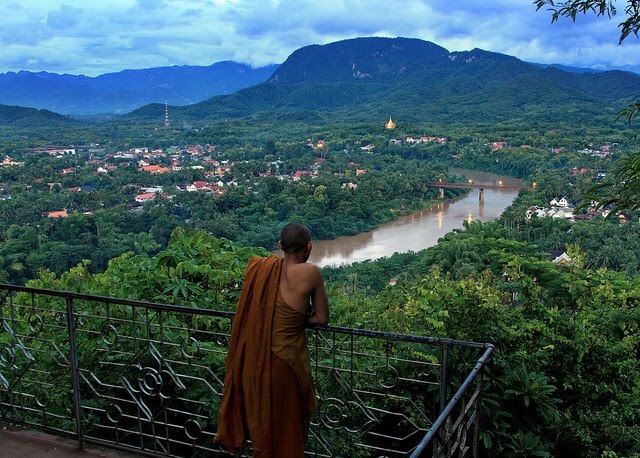 I knew I’d be returning to Luang Prabang in a few days, otherwise there’s no way I’d have been ready to leave.